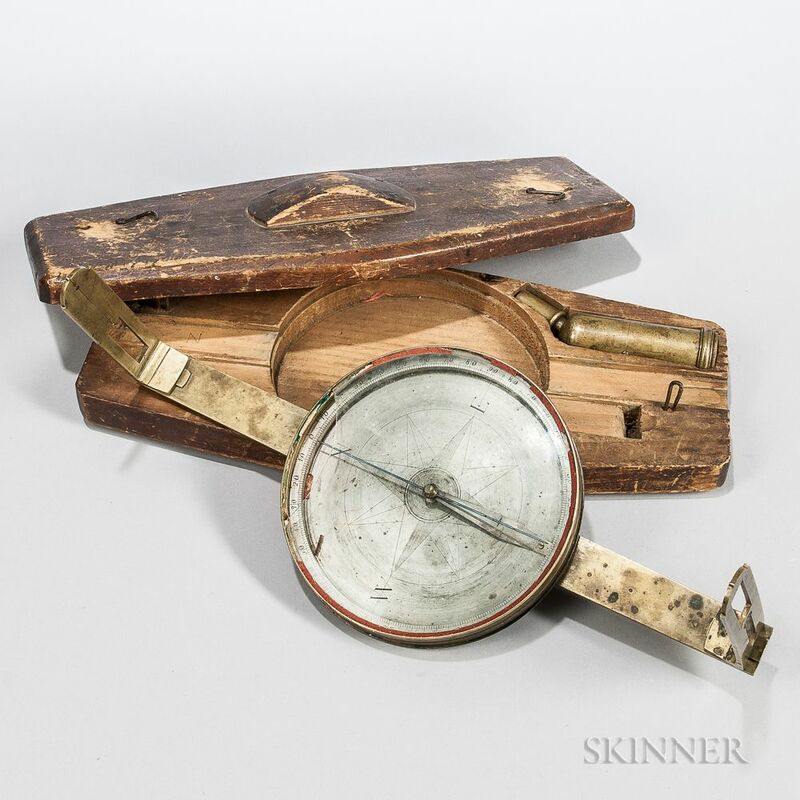 Early Surveyor's Compass Attributed to Dod, 19th century, with 5-in. engraved silvered dial, eight-point rose part-hatched at the cardinal points, needle ring divided 0-90 in four quadrants, blued-steel needle, dovetailed sights, and staff-adapter, housed in the original fitted pine case, lg. 14 in. glass cracked and missing 3-in. section on the northern end.